Having drawn enormous inspiration and unprecedented encouragement from Pastor, Dr. Sunday Adelaja, it’s now time that we accept reality and ignore the cognitive impairment of our “African leaders,” who have failed us completely since day one of independence from foreign policy, resulting in many of us fleeing the continent to developed nations as economic immigrants by the millions. Just like Dr. Adelaja has decided to return back to Nigeria for good (after 30 years in Europe) taking 2000 innovative people from all walks of life with him to change the lives of the forgotten Nigerians, we are now witnessing a profound directional swing in the interest of emigrations/immigrations among West/East Africans. The Back to Africa Movement conceived of many years ago is now beginning to gain traction in the minds of modern-day Africans, especially Nigerians. The prophecy of our ancient prophets recorded in the scrolls is now taking over in our lifetime with the true unstoppable spirit of the Lord (YHWH), awakening, reassuring, and regathering the true lost children of Shem to their native homeland. They have served our ancient sentences for the gross spiritual disobedience of our ancestors that brought (over us) hundreds of years of subjugating penalization, trauma, and forgetfulness. This is now expiring and unquestionably turning in Africa’s favor as we’re now acquiring the right knowledge of loving ourselves in the pursuit of peace and the willingness to develop our homeland and “stay put,” saying no to emigration. We were once abducted en masse out of Canaan (our original ancestral land) by 750 BCE and taken into captivity first by the Assyrians and later by the Babylonians, enslaving us throughout Mesopotamia for 70 years before finally driving us out after resettlement in the year 70 CE by the Roman Flavian, who destroyed the city and took thousands of our unfortunate brothers and sisters into another round of slavery (this time spanning the Roman Empire). Meanwhile, we (the escapees) finally found a presumably safe hideout by the south of the Niger River in 150 CE, starting a new life across today’s West, East, and Southern Africa. Yet we were interrupted again after just 1500–1600 years, when we (the West Africans) inevitably met the prophesied Deuteronomy’s punitive measures in full chains by 1700s CE and were sailed by our captors across the seas to foreign lands, where we were sold for rock-bottom prices into a different kind of brutal slavery. Our brothers and sisters who were taken from our original homelands earlier, although maintaining their ancestral history, had assimilated into the other side’s race and no longer resembled us, recognized us (children of their fathers and mothers), or even remembered their ancestors, who looked exactly like us. They had either forgotten or deliberately—out of shame and fright—denied their identity due to our unfortunate condition, even though they never forgot the homeland and were still associated with it. Over the centuries, they washed off the melanin, the ultraviolet radiation of the land’s environmental climate, which once gave them their skins. They washed every last spot of the skin physically and their minds somehow deliberately, but we still love them and call them blessed, as we were. They (the changed ones) have paved the way by returning to the original Holy Land, and we support them and will now replicate their bold courageous moves in building a new Jerusalem in the other land discovered (in Alkebu-lan) by our fleeing ancestors. This land has always remained ours for thousands of years now, with no one settling in behind our backs as we never left it vacant from the first day we found it. 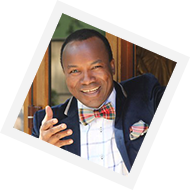 Nigerians, Africans, listen attentively to Pastor Sunday Adelaja (the Isaiah of our time). Arise and let’s build a nation that would dazzle other nations to want to come to us instead of us running to them and stressing them out for favors again and again forever! It starts with affordable roofs over our heads, abundant harvests, and health assurance, education/indoctrination, as well as new mindsets of diligence. We will ultimately pave the way to the pinnacle of such success. First, we have to unite, putting religion and/or tribes aside or the effort will be futile. While other Nigerians are poised to bring in the many innovations they have acquired in developed countries to achieve this, I am on my own (taking last week’s HMT advice onboard), bringing in my acquired skills to create affordable UK/US-style housing in Nigeria, Cameroon, and Ghana so low/average income earners can—with certainty and consistency and within a very short period of time—have a decent living at 30%-40% of their salaries while providing free shelter for the 110 million destitute Nigerians (of the 16 million outside Nigeria) returning from abroad, both willingly and deportees, and the nearly 8 million unemployed/homeless Nigerian youths through a national goodwill contributory welfare system and/or charity organizations. We also look forward to setting up or getting support from other established and credible people, both at home and abroad. Be well, and God bless. Looking to attend the next HMT in person.